Commonly used in woodworking applications for edge gluing of multiple pieces, the versatility of the reach comes from the ability to use a variety of lengths of pipe to suit your needs. Features a plated spindle that prevents rust & corrosion and larger clamping surface gives more positive grip as well as a larger handle for more positive pressure. Pipe diameter is 3/4" (pipe not included). 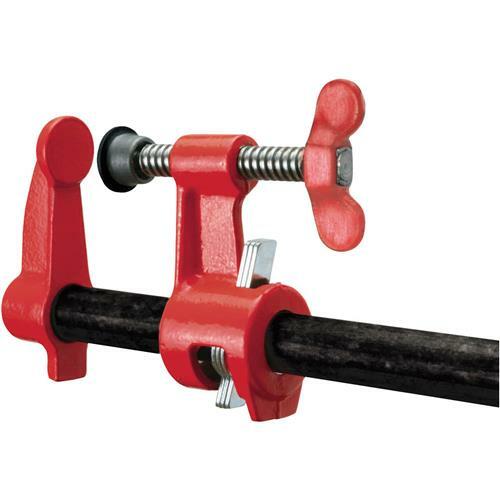 This is a great product as are all Bessey clamps and Grizzly made them available at a great price.